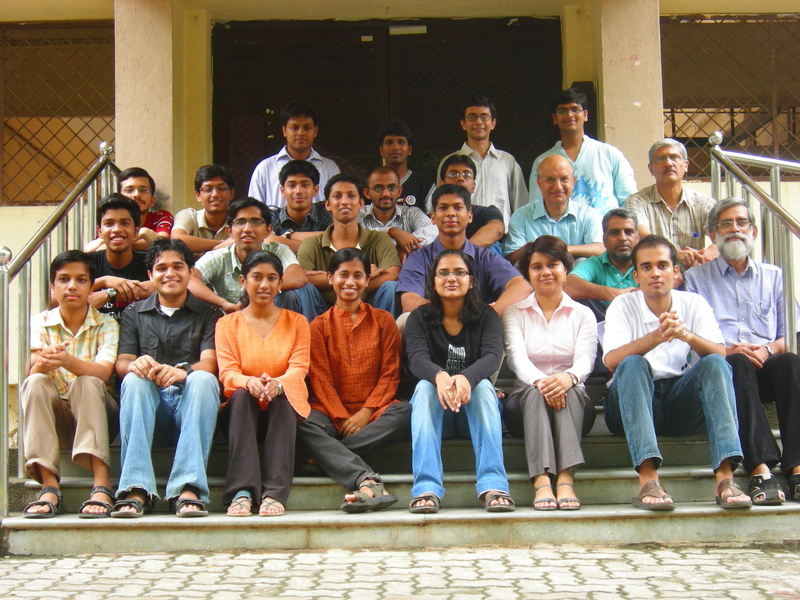 Pratham, the student satellite of IIT Bombay, was conceptualised in 2008 with the aim of making the institute a center for space science and technology research. The satellite is designed to fit within a cube of 30-cm side weighing nearly 10 kg. Among the mission objectives of Pratham, empowering the students involved with the skill set required to develop a satellite through various stages of design, analysis, fabrication and testing is at the forefront. Along with the scientific objective of Pratham, one of the goals of this project was to share with society, the knowledge that we have been privileged to acquire, being in one of the premier institutes of the country. The vision in mind was to start collaboration between various Indian universities interested in contributing to the space sector and ensuring sharing of knowledge and facilities between them. Pratham was to be the first step towards that goal. To realise that, various workshops and sessions have been conducted by the team in our own institute and other universities as well. A project related to satellite and space technology needs to time to realise things which can go wrong because unlike other projects, space doesn’t provide a second chance to rectify things. 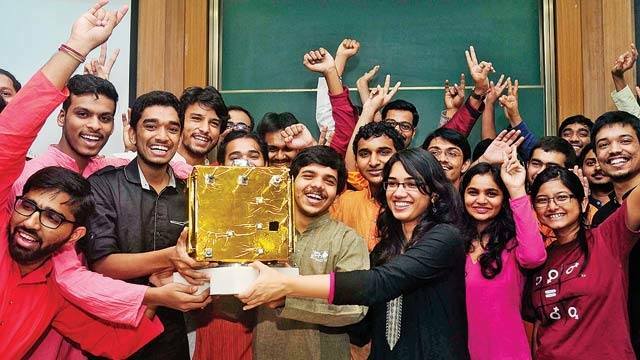 The project started in later part of 2007 when Prof. Vahia of TIFR suggested to the IIT Bombay third year students to do something related to satellite building at IIT Bombay. Those third year students (Saptarshi Bandyopadhyay and Shashank Tamaskar) approached the then HOD of Aerospace Department, Prof K. Sudhakar, and the institute. Though IITB has experts fields like electronics, controls, and structures, no one had firsthand experience about what it takes to build a satellite. As suggested by the professors, literature survey was started. Building a satellite or anything related to space takes lots of investment, time and patience. The institute had a genuine apprehension that like most of the other projects, students will work for a year or so, they will spend IIT money and then there will be no one to continue the work. To solve this problem team came up with system to maintain continuity which is described in detail below. An initial core group team was inducted and ground work for the satellite building started. After six months of rigorous ground work, the team presented all the findings related to satellites especially student satellites (SS), design features of SS (like low cost, off-the-shelf components, etc), subsystems of satellite. The team demonstrated their interest and presented a continuation plan to the institute. A project related to satellite and space technology needs to time to realise things which can go wrong because unlike other projects, space doesn’t provide a second chance to rectify things. The design process has two parts: technical and non-technical. Both are interdependent. Decisions of one part affect the other. The technical part involves everything that is related to technology and engineering. The non-technical part involves deciding mission, vision statements, success criteria, dead lines, budget and coordinating with IIT, ISRO. The biggest challenge of the project has been the survival of the project. The starting team will have left the institute when the team that finishes the project is inducted. For this, strong foundations of technical as well as non technical activities are very important. The project has gone through several design reviews: 20 reviews with mentor professors, 4 institute wide reviews with professors from various departments of IITB, and 6 reviews with ISRO scientists. Official reviews with ISRO included 3 design reviews, 3 testing reviews, including one just before the launch for the launch clearance. Pratham project took more than 8 years to reach its success. There were many factors that played a crucial role in managing things properly over this period. Team selection: Every year, around September, a selection test is conducted which is open to all the students of the institute. The selection test consists of a quiz to screen the candidates and judge them on the basis of their approach to a problem. The selected candidates then are allotted a mini-project related to satellite work and a mentor from the senior team to help them in understanding the problem. This round is to guage their enthusiasm for satellite related work. After a week, they have to give a presentation on the topic that was given to them. After successfully clearing this selection procedure, the candidate is inducted into the team as a temporary member. After working with the team for the next 2-3 months, they are given core-group membership if the team is satisfied with their work, dedication, and commitment. In this manner, a new batch of students is inculcated every year to replace the old out-going batch. Since the old out-going batch leaves around April, it gives the new batch about 7 months to learn about the Satellite from their seniors. Project student leader selection: As they say you just need one person to make a change and it is very much true in this case also. Project student leader is that person who holds all things together and sails the ship through all the ups and downs and all the weathers. Being a student project, no one gets paid and one can leave whenever they want. Keeping the project going and students motivated in the midst of so many activities on campus, academics, personal life, makes the job of leader that much harder. So the selection of the leader is very crucial. Most important qualities for the leader are attitude and commitment. Once the person has this basic qualities then it is a job of the previous leader to groom that person into leader. As they say hire for the attitude and train for the skills. We also employed the same principle. Documentation: The team, has documented each and every level of design, analysis, fabrication and testing which occurred at various stages of satellite making. 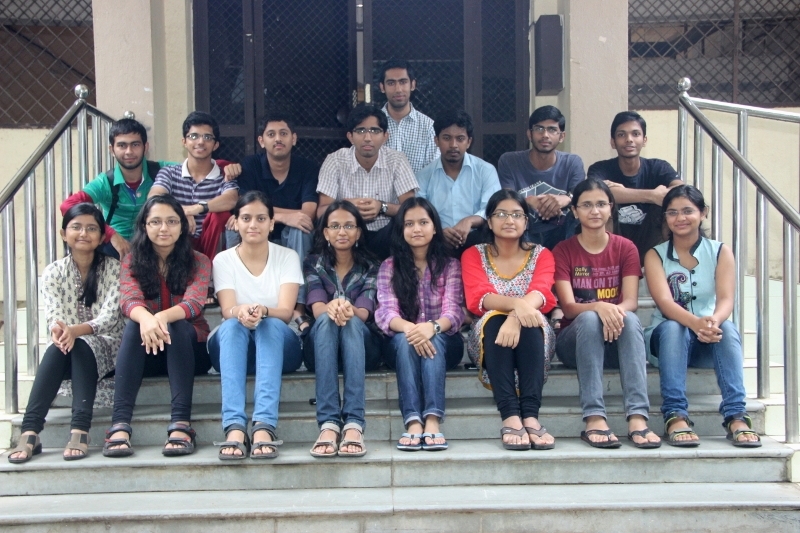 There had been more than 6 reviews with ISRO and many more at IIT Bombay with faculties which are properly documented with mention of their dates and participants so that next generation of the team will know about each and every decision that was taken and who were involved in that. Pratham github repository has been maintained for all technical work. Being a student project, no one gets paid and one can leave whenever they want. Keeping the project going and students motivated in the midst of so many activities on campus, academics, personal life, makes the job of leader that much harder. Apart from the technical expertise people got while working for the satellite, it changed the life of most of them. Many students decided their career path after working on this project like an Engineering physics student shifted to aerospace because of this project. For many it was not just a project, it was their life. People were popular in the institute because of this project. The amount of exposure students got because of this project is unmatchable. Starting from meeting lots of similar-minded people in institute, discussions with ISRO directors, to attending and presenting at multiple international conferences and collaborations were some of the added benefits. We had a social goal initiative under which we conducted ground station work building workshops for the other universities so that they can also be the part of our project. Like us the students who built ground stations at their college chose this field as a career. All the design documents are available on the website for the benefit of society. Launch event was also a roller coaster ride like building the satellite. Satellite was launched on the morning of 26th September, 2016. An event was organised in IIT Bombay and the alumni of the team who could not make it to this event were there through video conferencing. The rocket lifted off at 9:15. The room was filled with clapping and hugging. Then there was a function for 2 hours sharing all the experiences, memories etc. The satellite was ejected from the rocket at 11:15. Few minutes before the launch, tension and excitement were building. Everyone was just looking at the giant screen which was displaying ISRO’s flight path monitoring screens and at the height of the excitement the following image appeared on the screen. 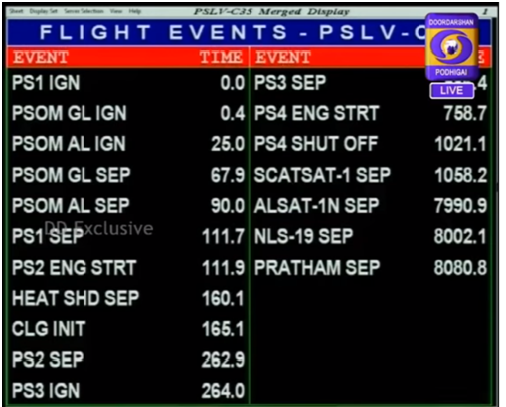 It says PRATHAM SEP (Pratham Separated from rocket and is now in the orbit). For the outside world this was the end but for the team this was the start as till now it was ISROs work. Once the satellite is in orbit, there is no way to know what is happening till communication is established. Pratham was supposed to start sending signals within in 24 hours but even after 48 hours none was received. Everyone was mighty tensed as all the efforts of 8 years and more than 100 people was on the line. Even after extensive testing there are so many variables that can go wrong. The idea of satellite not being able to communicate gave us the shiver down the spine. Then after almost 50 hours, when the team was coming from honourable governors place in the IIT Bombay bus, we received email with signal in the form of audio file from university college of London. They had received the signal and sent it to us. Downloading that file listening to it and then decoding it and then confirming that it is our signal was the moment of a lifetime. It was like a dream come true. The whole team was celebrating in the bus on the way. Tears and joy knew no bounds. Life is not the same afterwards; it has changed for the good. 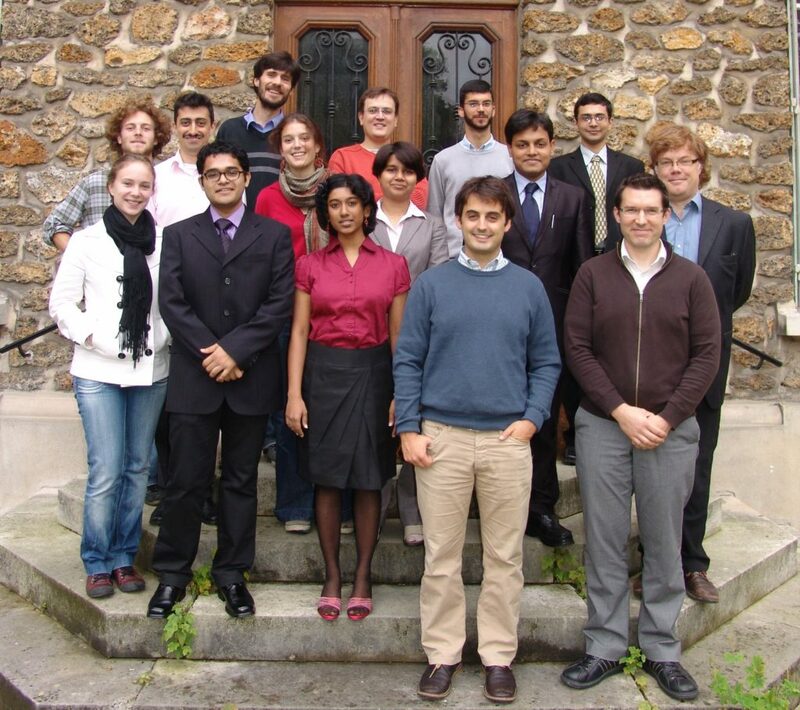 Pratham team at France with Institut de Physique du Globe de Paris (IPGP) team. Just to summarise, the whole experience for most of the people involved, it was a journey of a lifetime, where many people came, contributed, moved away physically but never truly left. Almost all the teammates will agree with me when I say that satellite has given us more than whatever we have given to it. When there was a discussion among us about what made this project a success some very important points came up. Most important is the aim of doing something bigger than our day today life problems or activities, clear vision and mission statements, the communication among the same team and teams over time, solid continuity plan and off course leadership. Just imagine at the age of 19 or 20 how many people can say that they have built and put up a satellite in space. This feeling kept the ship going for so long (it’s an achievement in itself) and finally to success. About the future, there will be more programmes like this. For the simple reason, if the work stops now, there will be no satellite again and all the knowledge will be destroyed with us. So it is our duty to continue programmes like this and as we got so many things to learn, future generations also should get the chance to learn and contribute. Tushar graduated from IIT Bombay with a major in aerospace engineering in 2014. 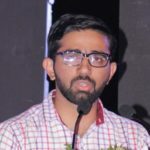 He has been a part of the Pratham team since his freshman year 2010 and was the project manager for two years from 2012 to 2014. His role was to rebuild the team to continue the launch integration of the satellite and train the future leaders who can complete and launch the satellite successfully. Even after the graduation his involvement in the decision making was important for the project. He joined the GTRE lab of DRDO after graduation. Currently he is working on a start-up plan of his own in the field of Aerospace engineering. Enjoyed reading this. Hope other members of the Pratham team will share their journey sometime, would be fun to read. What happened later in orbit?